Commuters returning to work are having to battle delays and cancellations after a train operator axed more than 150 daily services. Northern has removed a total of 165 trains from its schedules every day until the end of July to eventually improve reliability. Services in areas including Manchester, Liverpool, Blackpool and the Lake District are affected - and beleaguered passengers have been told the emergency alterations will take two or three days to "bed in".According to the trains.im website, the number of Northern trains either cancelled or more than 30 minutes late stood at 7% by 12.30pm.A major shake-up of timetables across the country was introduced in May, but the changes have caused widespread issues as the rail network adapts.Northern says its interim plan will allow it to return to a "reliable level of service" by the end of next month, but the move has provoked fury among commuters and local politicians.Some have called for the operator to be stripped of its franchise. Prime Minister Theresa May's official spokesman said the situation facing Northern passengers was "totally unacceptable". 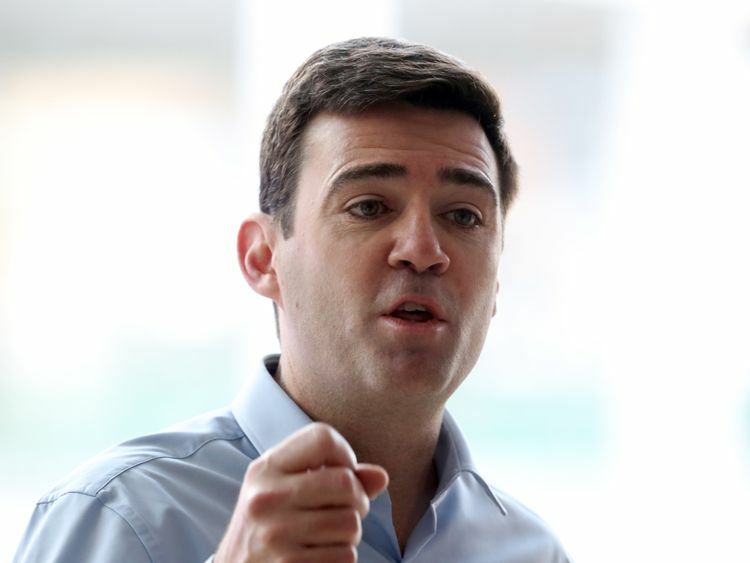 Transport Secretary Chris Grayling is set to make a statement to MPs later.Andy Burnham, mayor of Greater Manchester, says the affected commuters should be given "substantial" compensation and reduced fares.Mr Burnham said Northern was in the "last chance saloon".He said the operator is likely to benefit financially from running a reduced timetable and should fund a compensation package. Fines should be imposed if they refuse, Mr Burnham added.He also called for Northern passengers on the routes affected to be allowed to use their tickets on other forms of transport, like TransPennine Express trains, buses and Metrolink.In a letter to the chair of Transport for the North (TfN) John Cridland, he said: "Now that Northern are unilaterally cancelling thousands of services - that many season ticket holders have already paid for - passengers must be properly and fully compensated. 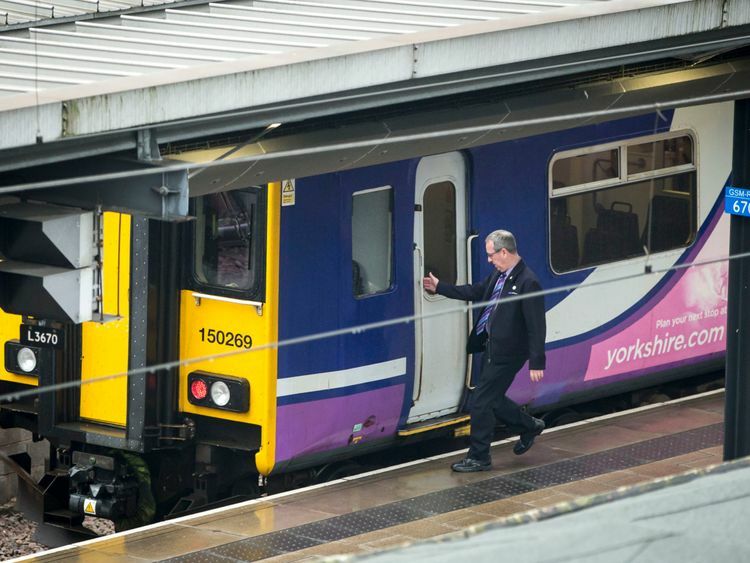 "Northern are set to benefit financially from this emergency timetable. It is the company, and not the passengers, who should pay the price for their mismanagement. "As far as I am concerned, this emergency timetable represents the last chance saloon for Northern. "They are causing too much damage to the economy of the North to be allowed to inflict their miserable, unreliable services on us any longer. "If they are not providing the promised new May timetable by early August, then steps should be taken to strip the franchise from them. "Northern's managing director, David Brown, apologised for the "unacceptable service" and said the firm is working hard to fix the problems.He said a compensation package for customers is being worked on. "We have been cancelling far too many trains, inconveniencing far too many people and we are truly sorry for that," he told the BBC. "Today is us trying to sort that out by bringing in an interim timetable and by reducing the amount of trains that we operate to try and give people a little bit more certainty about planned cancellations rather than them turning up to the station and then finding that the train is not running. "Northern insists it is still running more trains than it did before last month's timetable revamp, and expects things will get back to normal at the end of July.Meanwhile, London mayor Sadiq Khan has said disruption to Govia Thameslink Railway (GTR) services is hurting the "international reputation" of the capital and called for the firm to be stripped of its franchise.Almost one in 10 (9%) of GTR's trains were either cancelled or more than 30 minutes late on Friday. This figure stood at 8% at 12.30pm on Monday, according to trains.im. GTR is made up of Southern, Thameslink, Great Northern and Gatwick Express.Rail timetables are updated twice a year, but the latest refresh features far more changes than normal in an effort to improve punctuality and account for extra services and capacity brought on by billions in investment.